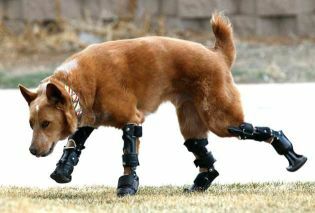 There are many other examples of animals with prosthetics. Perhaps the most notable would be Winter, a dolphin with a prosthetic tail. In 2011, her story was adapted into a feature film, Dolphin Tail. Moving from a cat to her demonstrates the breadth of animals that these tools and surgeries are helping.